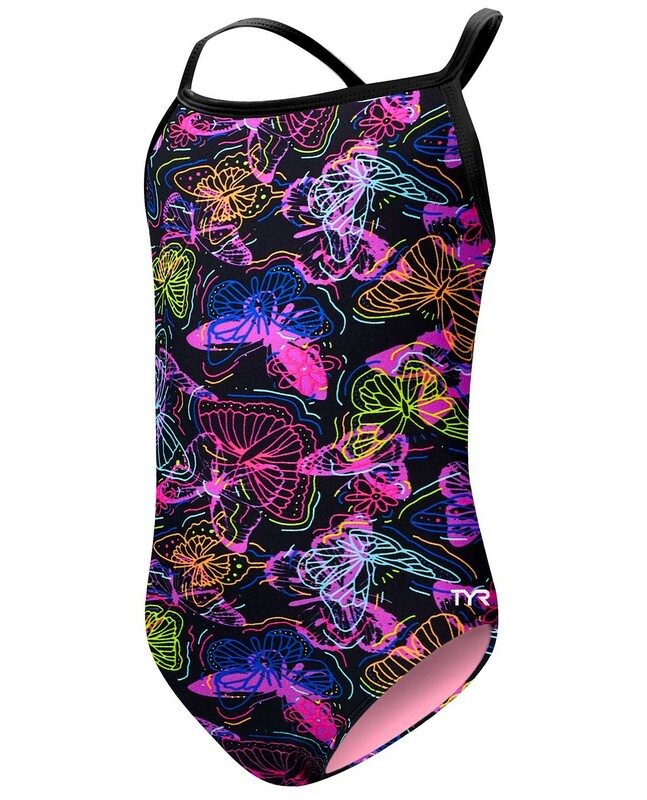 Get out there in the TYR Girls' Mariposa Addy Diamondfit. Designed for young athletes, the fully lined DMAK7Y features an ideal blend of comfort and function. With sleek/flexible straps and a keyhole back, the Addy Diamondfit provides girls with a fun silhouette they're sure to love. 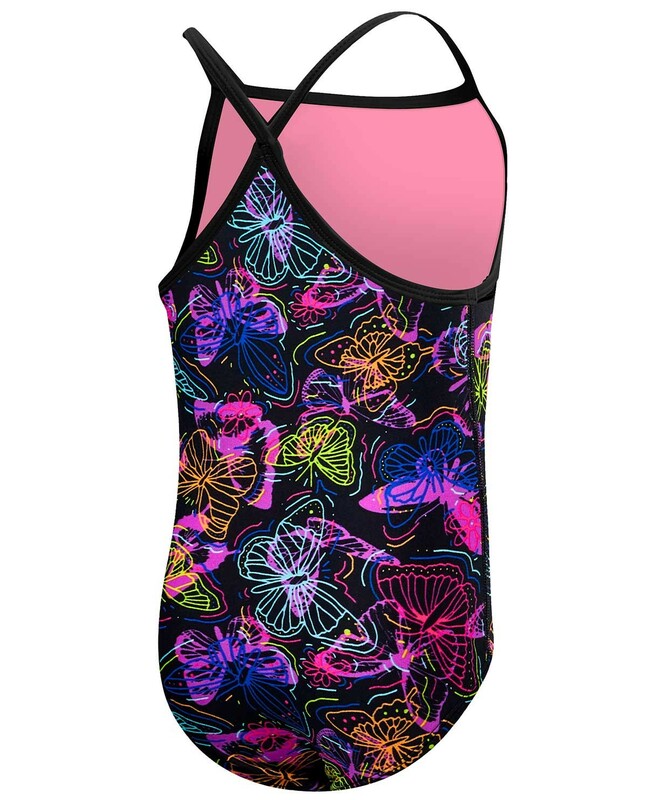 In addition to breathable Durafast Lite fabric, power mesh control and 360 degree range of motion, the Addy is created with UPF 50+ technology to ensure sun safety during every outdoor adventure. I bought two suits for my 8.5 year old daughter. She is tall with a long torso. We bought the 10-12 size and it was perfect for her. The suits are made of high quality material and the bright colors are perfect for a little kid.